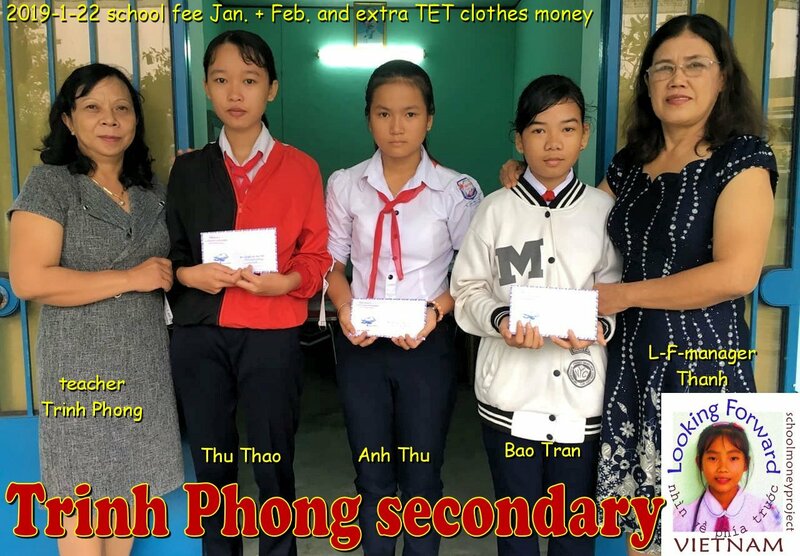 2019-1-22: Our Vietnamees managers brought the school fee for January and February to our 84 L-F-pupils at 10 different schools. Because we want our children to look very nice (and not poor) with TET/Lunar New Year ( February 5 ) we gave them some extra money to buy new clothes, so they all can visit their family in a new outfit. We wish all our pupils, managers and friends in Vietnam a very happy TET holiday!! Dit bericht is geplaatst in Reisverslagen. Bookmark de permalink. Hien op Onze koffers worden gepakt. Els op Onze koffers worden gepakt.